Akuamma is a plant which grows in the different parts of Africa particularly Ghana, Ivory Coast and Nigeria.its seeds are very useful and powdered form can be used for treating many diseases.many traditional medicines have this powder in their making and they are specially famous for diarrhea and malaria.it also has many other properties like anti-inflammatory, anti-diabetic and painkiller. There is this African disease trypanosomiasis which is due to parasitic disease transmitted by the tsetse fly commonly known as sleeping sickness as your sleeping pattern will be disturb after you are affected by it, over 500000 people suffer from this disease. If you are looking for the best choice in replacement of kratom then akuamma seeds are the best option.due to the types of alkaloids present in it has many healing qualitites.seeds are beneficial but fruit pulp is also good and has hypoglycemic properties. Pain killer – the seeds of akuamma are best known for their analgesic qualities, also they are used frequently to treat pains caused due to lupus erythematosus, migraine arthritis and fibromyalgia.it is best as it causes no addiction and withdrawal side effects are also zero. For soothing – it gives a very relaxing and soothing feeling and reduce depression and anxiety, it is considered healthy for over all mental health and produce calming effects for longer periods, if you are suffering from panic attacks than this is good for you. Sedative – it is best for sedation as if you have severe sleeping issues and insomnia than akuamma seeds are good for you it will provide peaceful sleep and produce calming effects which will neutralize balance of the body leaving you stress free to achieve rest. 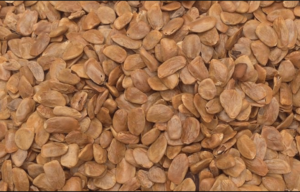 Malaria – akuamma seeds are anti-malarial not just the seeds its fruit and bark is also beneficial for this purpose, they are natural remedy against malaria. Parasitic – they show potency when treating parasitic bites and contaminations through parasites. Diabetes – alkaloids present in the seeds of akuamma are anti-diabetic in nature, they promotes glucose uptake of the cells and lowers blood glucose levels. Taste of seeds – this is worst thing about the seeds that they are very bitter in taste, kratom taste is nothing compared with them, you will do vomit or get nauseous when you take it directly, do not chew them better to use in the form of capsules. Hypernatremia – this is the condition where your levels of potassium increased in the plasma it surely cause some disturbance but not any serious problem. Headaches – when you take large quantity of akuamma seeds such as more them 2 grams you might have headache but mostly you will feel sedated. Previous PostWhy Red Vein Kratom Is Considered Different Than Others?